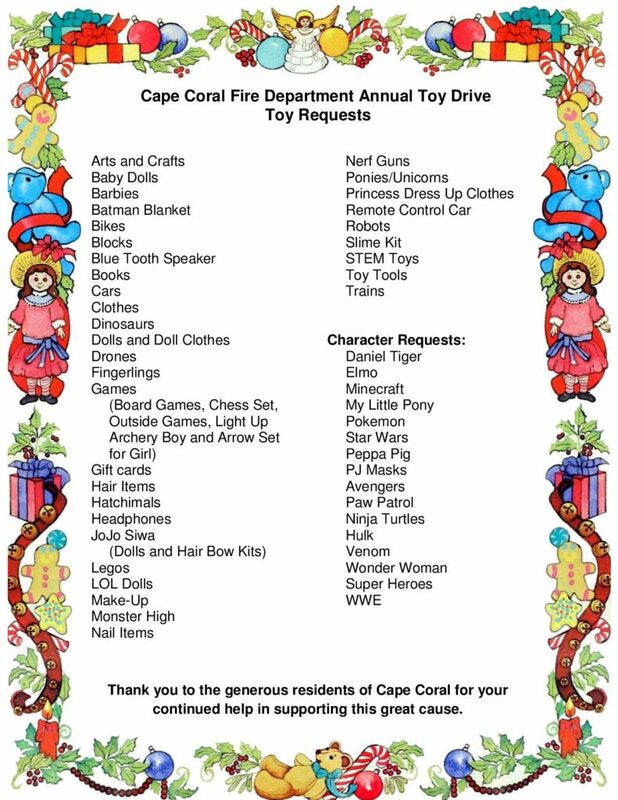 Until December 14, the Cape Coral Fire Department will be collecting toys and gifts for children in our community. These gifts are for children who have special needs, suffer from chronic illnesses such as cancer, are in foster care, or have families struggling with financial difficulties. Donations for boys and girls of all ages (newborn to 17 years) are needed. Gifts for teens are often in short supply. Please consider donating gift cards, makeup, body soaps and lotions, perfume or cologne, arts and crafts supplies, sports equipment, or entertainment items for this age group. 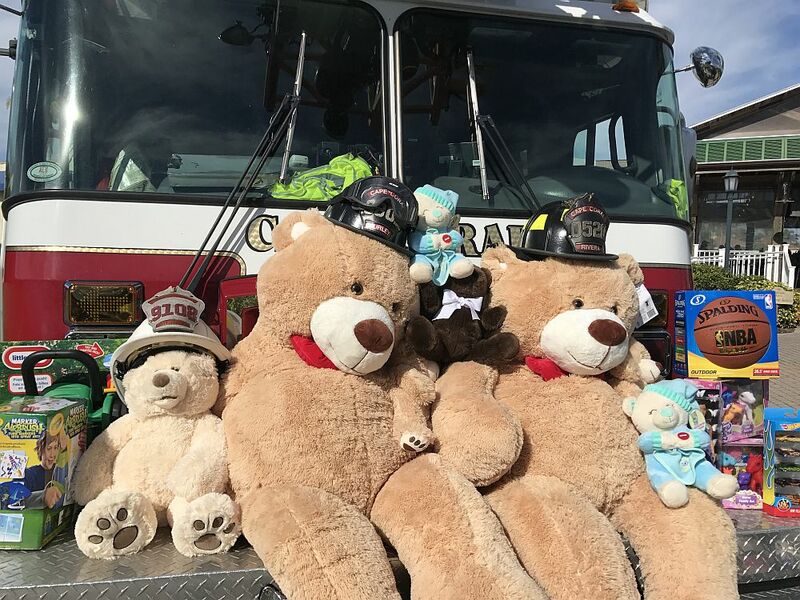 If you have a business or a group that would like to partner with the Cape Coral Fire Department for toy collections, or if you or someone you know could use a little help this year, please contact aschuch@capecoral.net or call (239) 242-3303.